My introduction to muscle testing came from my naturopath doctor who performed NAET, or the Nambudripad Allergy Elimination Technique. At first, I had trouble believing that this so-called skill was even real at all. Rather, it sounds too hocus pocus; was it even a magic trick? 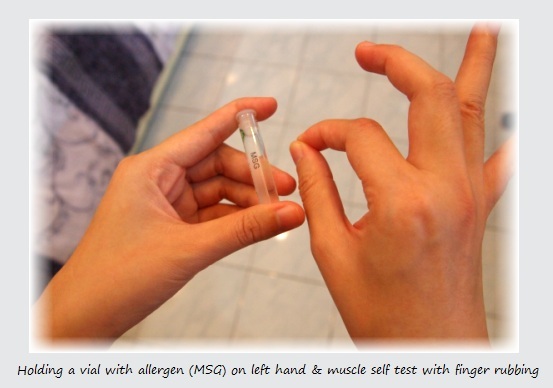 I held an allergen vial in my hand, close to my body and extended my arm out horizontally. The ND started to exert downward pressure on my arm. If my arm became weak and started to drop despite resisting the downward pressure, it meant to say that I was allergic to the substance in the vial I was holding. 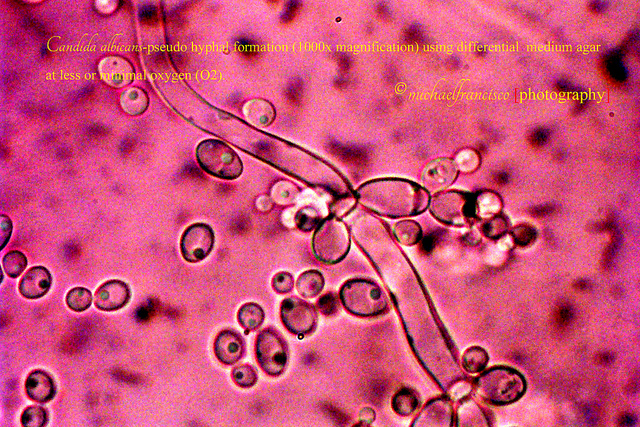 If my arm remained ‘strong’, that is, if the downward pressure could not moved me out of position while I kept my resistance, I was not allergic to that allergen inside that vial. I couldn’t believe muscle testing earlier either; but in my earlier post, I’d reasoned out after trying multiple diets, attempted so many different kinds of supplements and realised one thing: I could be more allergic than I thought I was. While ALCAT blood test had helped me much with identification of the major categories of food allergens, I could not help but think that there could be more. And these may be the reasons that I cannot get well. I started to search for ways to eliminate allergies and during this journey, I encountered my ND (Dr Lynn) who muscle tested me for many foods items and even emotions. I was allergic to common foods such as cow’s milk, gluten, rice, soy, ginger, many vegetables and many fruits (which are believed to be some of the healthiest of foods); and shockingly, I had allergies to Vitamin B, Vitamin K, hormone, vaccination, magnesium, as well as viruses, mycoplasma, bacteria such as Streptococcus Rheumatism, etc. These are commonly accepted phenomenon with NAET doctors but of course, something that mainstream medicine or believers of conventional medicines cannot accept, acknowledge and agree upon. The conventional drug model has come up with some effective drugs and tools in saving people’s lives (no doubt), but they are nearly always a band-aid and rarely address the foundational cause of the illness. Muscle testing offers a completely different approach towards healing and uncovering of health conditions through detection of the abnormal energy blockages that are developed as a result of wounds that we are going through at one stage or many different stages of our lives. These blockages disrupt and disturb the normal energy pathways with which we were born with; and very often, leads to what we call chronic illnesses today. Generally, for Rheumatoid Arthritis, I use muscle testing as a guide (accuracy depends on practices) to help me identify imbalances in my energy field. Yes, if you are curious, we do have energy systems or fields that are, in every bit, as real as our nervous or immune systems. 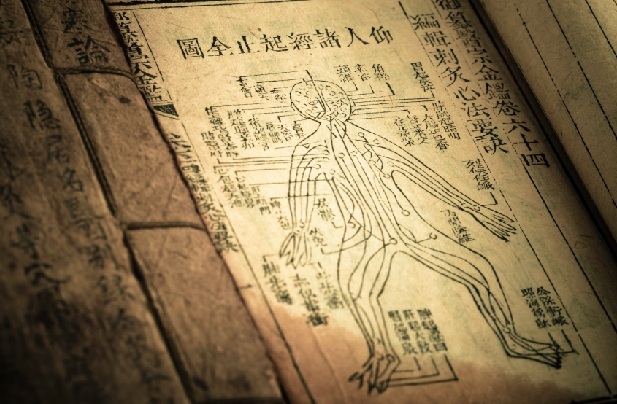 I’m going to explain how muscle testing works from a Traditional Chinese Medicines (TCM) point of view. TCM acupuncture and meridian principles have evolved for the past few thousands years but have not been quite well understood in the West. You’ll know why if you read on. In Oriental principles, free flowing energy ensure the perfect balance of the body. When the body is in perfect balance, and the sympathetic nerves are in control, allergic reactions are not possible. Illness – pain, inflammation, swelling and various discomforts – is a warning given by the brain to the rest of the body regarding the possible dangers if energy disturbances are allowed to continue within the energy channels of the body. Everything and everyone is composed of energy (with individual vibrational frequencies). Simply put, if an object say a food or supplement – virtually everything (with its own energy) – comes into contact with your own energy field, and these two energies are compatible and in congruence, they make you stronger. However, if they are not compatible, they will gradually weaken your body. When a body becomes imbalanced, allergic manifestations appear and things or events that can cause an imbalance can include a serious accident, a major operation, a childhood disease, an emotional shock, loss of loved ones, loss of jobs, betrayal, child abuse, etc. It may be that one has been repeatedly exposed to particular hypersensitive allergens over a short period that the body’s defenses have become exhausted due to overwork. Uncovering which food item is safe for you. Remember how food allergies or intolerance tests such as RAST, ELISA and ALCAT only cover at most 200 foods, muscle testing basically allows you to test anything and everything, not just food item. For environmental allergens, you can collect some water in a glass or container and leave it near the allergens for examples, near the carpet, outside the house, etc over night and muscle test with it. Revealing any concomitants or synergistic (combination) allergies. Simply put or combine any two or more suspected food items in your hand and proceed with a muscle test. An advanced level of muscle testing is able to help you with identification of the causes that short-circuit your energy field that results in the original symptoms and hence, RA. It becomes apparent through my conversation with energy medicine practitioners and research that highlights that unresolved psychological or emotional trauma or conflicts often cause most, if not all, chronic physical health complaints that trigger the energy imbalances, which frequently cause more damages by thoroughly disrupting the energy circuitry of our bodies. Thankfully, I learned how to muscle self test and where needed, I can back up my answers with my husband if in doubt. There are many ways to perform a self muscle test and I shall briefly describe a few of the popular methods below. First, before performing a muscle self-test, it is important that your energy is ‘clear’ in order to get answers as accurate as possible. If you have been drinking alcohol or using drugs that affect your senses, then the answers you get will not be as accurate. It is also important to stay as hydrated as possible through the testing process. Remember, caffeine dehydrates the body and should not be used when performing a muscle testing. Always start by ensuring that your thoughts do not affect your answers. Keep your intention to keep yourself clear by making a statement like this: ‘I intend to stay clear and accept answers provided’. Place the tip of your tongue so that it is on the root of your mouth just behind your front teeth. Bring the tip of your thumb and index finger together on the left hand to form a loop. With the right hand, bring the thumb and index finger together so that they interlock between the left hand’s finger loop. Ask permission to ask questions by asking: ‘ Do we have permission to muscle-test __________?”, then attempt to pull the chain apart by pulling one of the circles against the opening of the other. If it stays strong, the answer is Yes. If the loop breaks, the answer is No. Say ‘My Name is (say your name)’, then test. The muscle should stay strong. Say ‘My Name is (say someone’s name)’, then test. The loop should break. If this method works for you, you can check for any food, chemical or environmental allergies. Or any other questions you like to find out about your body. Wording of the question or statement is critical . Be as specific as possible. Ask one thing at a time. For allergies, simply hold the substance in contact with your body. It is necessary to apply the same amount of pressure when asking all your questions. An added note to point 5 above, when performing this test, the rest of your fingers are open and relaxed. When you pull outward, do it with small to medium effort (it should not be a competition between fingers), and resist having the loop broken. Be relaxed except for the immediate muscles that are engaged in the pulling action. When you pull, say ‘Resist’. A hold will mean Yes or Positive. A break will mean No or Negative, which can also be taken to mean detrimental (in respect of the substance you are testing for your health). There are many variations to try out and establish your baseline or feel for the muscle strength and weakness. Now, try this: make your loop and pull outwards and hold and say this is my yes. Make your loop and pull outwards and break and say this is my no. When the muscle is not giving a clear, strong Yes, thump the thymus. 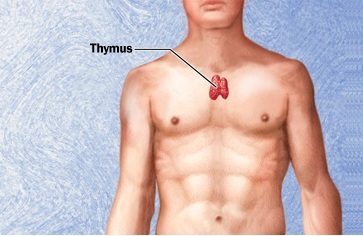 The thymus is beneath the breastbone, about a hand’s width below the throat. Thump about 25 times. 1. Lightly touch the pads/tips of the index finger and thumb of one hand together. 2. As you ask questions, lightly slide the pads across each other. 3. Yes = the pads slide very smoothly, there is no resistance. 4. No = the pads are sticky against each other, there is resistance. 5. This can also be done using both hands rubbed against each other. 6. Sometimes, the answers are reversed. The Yes response is sticky and the No response is smooth. 1. Make a loop with your thumb and index finger of your non-dominant hand. 2. Hold light tension in your loop. 3. Insert the index finger of your opposite ie dominant hand into the loop. 4. Slide the index finger quickly towards the place where the index finger and thumb is joined to make a loop. 5. Yes = the loop stays closed and holds the tester finger inside. 6. No = the loop breaks. 1. Pull out your left arm straight out in front of you, parallel to the ground. 2. Place your right hand on your left arm, somewhere between your elbow and wrist. 3. Apply downward pressure for few seconds to your left arm. 4. Yes = Arm stays strong, no stress felt on shoulder joint. 5. No = Arm becomes weak, it drops and you feel stress in your shoulder joint when resisting. 6. Always apply same amount of pressure when pushing down the arm. 2. Place your other index finger of opposite hand right on top of the nail of your left index finger. 3. Apply pressure from your right index finger to press down on your left index finger. 5. No = Right index finger goes weak, pressure felt when resisting. I recommend you use something you already know makes your muscle go weak to practice with. 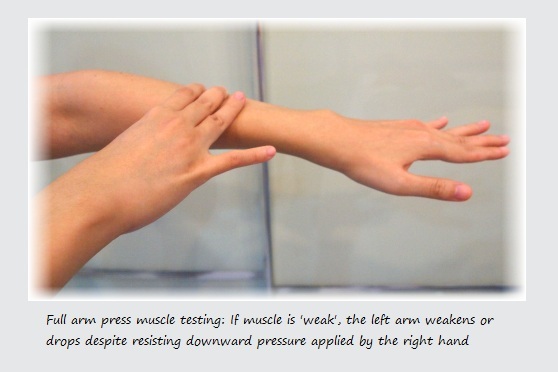 Try putting pressure on your finger or arm, with and without, that stimulus. Get a feel for the difference in the strength of your finger or arm when you introduce, and take away, the item/stimulus you are practicing with. Feel when and how the finger or arm goes weak. If the finger or arm does not go weak, you may need to train it to go weak. Consciously allow the finger or arm to break loose when the stimulus is introduced. This is just temporary. Once your body gets the feel for the weakness, it will do it automatically. 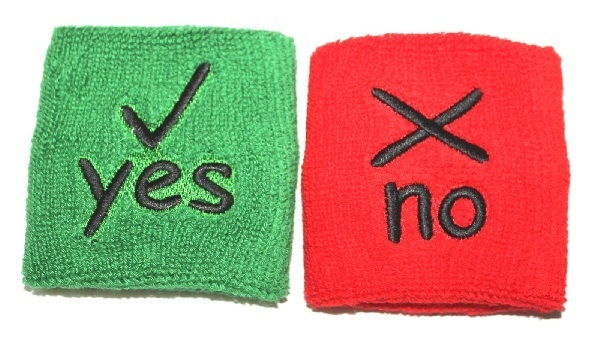 Try practicing with the words “yes” or “no”. One should go weak and the other strong. Feel the difference in your finger or arm when you say each word as you press down with your other finger or hand. If you ask me which of the above 5 methods work for me, I’d say I’m lucky with Method 5 – the Finger over Finger Method. You may test all methods out and find the right method that works for you. For beginners, accuracy will be higher if you hold the substance close to you and your energy field when practicing the muscle self testing because this is a way that makes it clear to your mind that the substance is the item to be tested and result will be either a strong or weak. Our body is an instrument or a mean for communication and as long as we are clear in our mind, the answers we are getting will be consistent. Do not force a particular result because by being partial to getting a certain response, you will be interfering with the accuracy and voids the purpose of doing testing in the first place. Therefore, be mindful not to over-push through the resistance because you hope to get a certain response. Meaning to say that accuracy shall be achieved if you perform the test without attachment to the outcome and desiring only truth. Practice makes perfect. Try the same test a few times to re-determine and assess if you are reading the muscle strength and weakness accurately. The more consistent your body’s response and your reading and interpretation of it, the more confirmed you can be of the result and its accuracy. 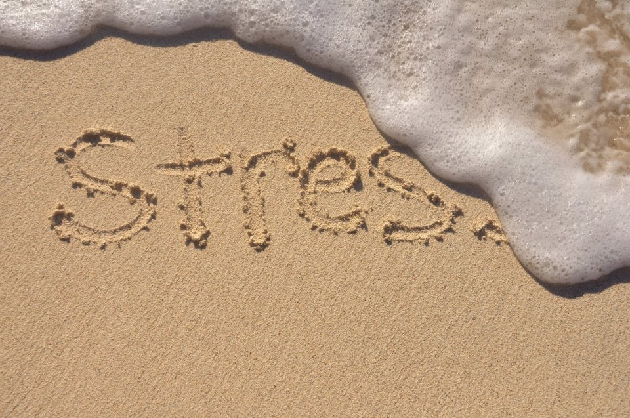 If you are tired, or stressed out, or unable to concentrate or under the influence of a toxin; you may get inconsistent results. Similarly, if you are dehydrated, you’re likely to get inaccurate or inconsistent result. Then, stop for a while and try it again when you’re more energetic, well-hydrated and clear-minded. If you are asking a certain question say emotion, your sickness, etc (ie, when you are not testing something physical), be specific about the question and clearly focus on the item in your mind to yield maximum accuracy. Once you have achieved certain confidence in testing a particular physical substance, you may begin fiddling around with ‘yes’ or ‘no’ questions. Here, you’ll need more efforts in assuring accuracy since questions asked MUST be very clear and specific so that it can only be interpreted in one way for which the only response is clearly a Yes or a No. For instance, asking ‘Can I exercise today?’ is not as good and specific a question as is ‘Can I go on a bicycle ride today?’. This type of ‘Yes’ or ‘No’ questioning is considered to be a form of advanced self muscle testing. Try out asking questions in different ways and observe the responses until you get the feel of consistency by asking the same question in different manners. My perspective of muscle testing is about attempting to learn about our past, and means of accessing our personal stored subconscious information, in what Gary Craig, the founder of Emotional Freedom Technique (EFT) terms as ‘writing on our walls’. This writing is made up of thoughts, beliefs and values we acquired from parents, school, culture, religion, experiences, etc. This subconscious information is useful so we can change it or let it go to bring about the alignment of power in our subconscious mind with our conscious desires. Pendulum dowsing is another form of muscle self-testing and as with all other techniques and methods I list above, this requires practice for accuracy as well. At some point in time, like some people, I also use a pendulum to check or “dowse” for energy flow and related information. Hold the pendulum between your thumb and index finger with your elbow slightly bent at your side. Use the hand that feels most comfortable for your. Relax and it is crucial to let the natural vibrations of your own body move through your hand to the pendulum. Just as you did with the other self-tests, think YES, with a strong positive feeling, and watch your pendulum. It will begin to swing in a circle or forward-and-back or side-to-side. That particular movement means Yes for your pendulum and you. Practice a few times. Try this: Ask your pendulum something that is true: “Is my name (say your real name)?”. Note what the response is. This will give you a “Yes”. Now ask your pendulum something that you know is not true: “Is my name Clinton?”. Note what the response is. This will give you a “No”. There is no need to buy a crystal pendulum if you do not wish to spend this extra dollar. You can create your own pendulum out of a small weight on the end of a 5 or 6 inch cord or string. A pendant on a chain works just as fine. You can even hook a ring over a piece of dental floss, if you like! The pendulum is good for providing a second opinion. It uses your own energy and as such should not be touched by others who many impart their vibrations onto the pendulum, leading to inconsistency or inaccuracy of answers. Keep the pendulum within your proximity for a month such that it can absorb your own energies and resonate with you within your own energy field. It is also necessary to clean your pendulum in salt water overnight after the purchase and once a month thereafter. Some people have reported good results with the pendulum held about 1″ above the open palm of their opposite hand, since it is said to open up your energy circuits and creates a bio-feedback loop such that energy will flow more freely. If the pendulum does not work well for you, open and close your hands a few times to activate the hand energy. Also try to clear your minds of preconceptions about the outcome to any questions you are asking. After each question was answered, clear the energy from the pendulum by lowering the tip for a moment to your hand or any surfaces to signal that your question has been answered and you are ready for the next one. As I am concluding my post on how to apply muscle testing to help us identify what weakens us (eg our food allergies or intolerance), therefore, what we should be avoiding to prevent excessive inflammation and burden triggered by these allergens in management of our RA; I would be expecting only those who can be open minded enough to appreciate this skill and move on to try out for yourselves. Although it may not be accurate 100% all the time, at least, for a condition to manifest so badly enough to eventually emerge as an RA situation, I concur that it should work well more often than not. You can use muscle testing skill to determine if a particular meal is alright for you. If it’s not, you can probe further and look into the ingredients that go into that meal; and ask questions that narrow down to pinpoint that particular hidden ingredient that actually cause flare-ups in your RA. Test your rheumatoid drugs and medications as well. Recall how some people got very sick with biologics or DMARDs because they can be allergic to these drugs. I applied this skill for testing the basic items that I’m using on a daily basis, including cosmetics, personal care items, supplements, and so forth. Muscle testing, in its advanced form, has been cited to be extremely helpful in uncovering underlying causes of your RA and other health issues, especially those that are unique to your system. Meantime, Good Luck with self muscle testing. 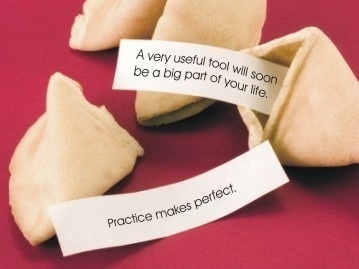 Enjoy the learning process and keep on practicing. Once you have established your list of allergens, I’ll briefly share with you an approach that empowers you to work towards eliminating these allergies and intolerance, as well as those emotional disturbances that are preventing your recovery from RA. Till my next post! 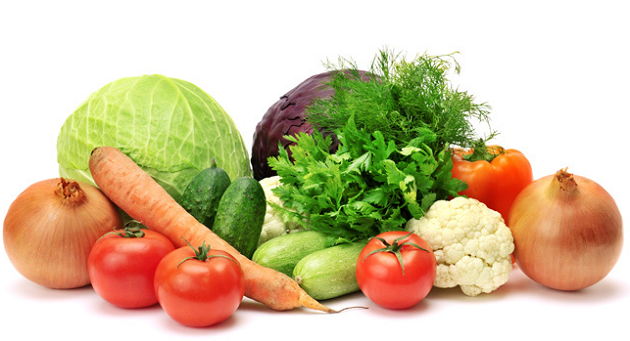 You are not allergic to those vitamins, hormones, or bacteria. 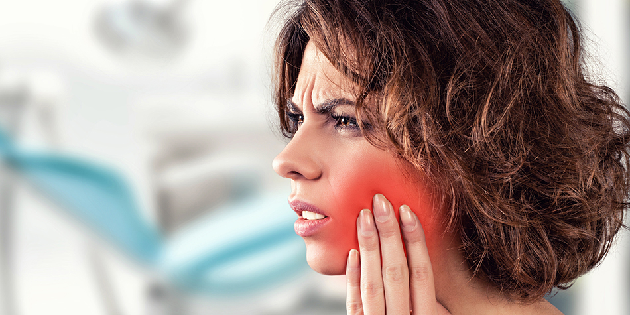 Weak muscle indicates that your body does not correctly recognize the substance. You should then seek to correct that using Touch for Health, Health Kinesiology, SET, or NAET. For anyone following NAET Protocol, Dr Devi would call that “allergies”. Some other practitioners would call it by different terms “energy imbalance”, “strong vs weak” etc. From energy-based perspective, the common themes are either that energetic imbalances create ailments; or ailments create energetic imbalances. The importance, from my opinion, is to strive to rebalance the energy and appropriate life force by attending to the core issues that underlie the dysfunction, so that our body can tune in to the readjusting mechanism.